Greetings from your WoodWeek news team. There is plenty of forestry action in the top of the South Island this week. Earlier in the week, helicopters and fire crews were fighting a fire in Marlborough's dry and rural Waihopai Valley. Also, hot off the press, Nelson Forests have acquired more forest lands nearby in the Wairau Valley. Looking to log exports we have the latest report from Champion Freight to the end of December 2018. 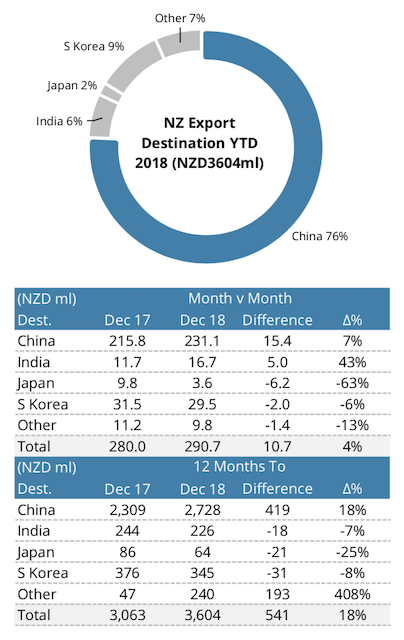 Log export values to China to the end of 2018 are up 18 percent year-on-year, to over NZ$2.7 billion contributing to overall log exports growing 18 percent across all markets. This is despite India and Japan markets dropping over the year. 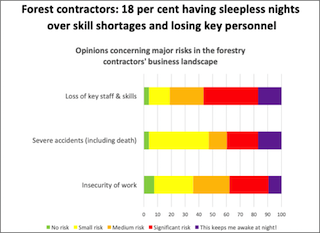 In the latter half of 2018, the folks at Toi Ohomai Institute of Technology conducted a business review of forest contractors. This week we have an update from that review and an invitation to their current survey. Last time more than 130 crews were represented, originating from a wide spectrum of operations throughout the country. WorkSafe has come down hard on a company with two similar health and safety failings within three months. Claymark Ltd will have to pay more than $680,000 in fines, reparations and costs. 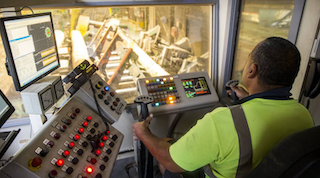 WorkSafe says that one serious injury on a company’s watch is bad enough, but that a second in close succession shows an unacceptable approach to worker safety. 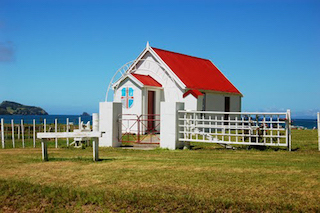 Now that the Kiwibuild scheme has come under fire for missing its own targets, close scrutiny can also be expected of the Government’s plans for planting one billion trees. This week we feature an opinion piece from Julie Collins, the head of Te Uru Rakau (Forestry New Zealand). Do contractors prefer diverse roles in their crew or should operators be specialised? 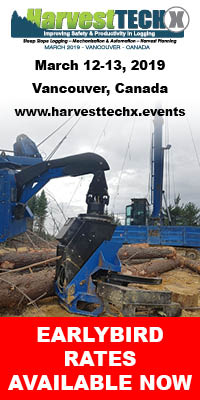 Forestry contractors who are interested in these questions are invited participate in a 2-minute review by clicking here. 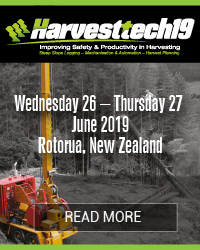 Additional information can be obtained from Toi Ohomai’s Forestry Operations Programme Manager; Richard Stringfellow (email [email protected] ai.ac.nz). With the government standing by its fixed price option at a level of $25 until at least May, you could be forgiven for thinking that a rational compliance buyer might be unwilling to bid more than about $24.75. But we all know that the picture is more complicated than that and so right now NZUs remain well bid to the $24.90/$24.95 mark on Carbon Match and we have reasonable volume offered for sale from $25.05. Forest owners and forestry consultants are currently under way filing returns and as units are issued to post-89 foresters on the back of this perhaps we will see further volume come to market. One issue to bear in mind is that this year's $25 FPO, all else held constant, will have spill over effects into next year's demand and prices. It's currently unclear whether the May 2020 surrender deadline will still involve an FPO of $25, some other number or even be replaced by a new cost containment reserve by then - something officials are currently working on, but which also requires legislative change to take effect. But what is clear now, at least in respect of compliance year 2018, is that emitters have the right to pay $25 - instead of surrendering the units they've acquired over the last year or more. For some, this will be a legitimate response to regulatory uncertainty. This year's FPO could be next year's safety valve and the extent to which the FPO drives banking this year will determine residual demand in coming compliance periods. This is the problem with price control generally, but we are where we are - snuggled right around that arbitrary $25 fixed price option, with almost every party unsure of the best course of action. Just out of interest, that's slightly above, say, current prices for California Carbon Allowances of about US $15.50 / $22.50, but well below European Union Allowances, which finished up yesterday at €22.85, or about NZ$38. The past, the present and the future walked into a bar together.................it was tense!! It's cold in Canada right now. But kids have it easy today getting a ride to school in the family SUV. When I was a kid, we walked 10 miles to school every day, sometimes in the rain or snow. Man, did we feel stupid when we found out there was a bus. "I just bought a microwave fireplace... You can spend a whole evening in front of it in only eight minutes." St. Peter was sitting at the Pearly Gates when two guys wearing dark hoodies and sagging pants arrived. St. Peter looked out through the Gates and said, "Wait here. I’ll be right back." St. Peter goes over to God's chambers and tells him who is waiting for entrance. God says to Peter: "How many times do I have to tell you? You can't be judgmental here. This is heaven. All are loved. All are brothers. Go back and let them in!" St. Peter goes back to the Gates, looks around, and lets out a heavy sigh. He returns to God's chambers and says, “Well, they're gone." “The guys wearing hoodies?" asked God. "No, the Pearly Gates” replied St. Peter. "Then I'd run down to the tracks and use the manual lever down there," answers Tom. "In that case," Tom argued, "I'd run to the street level and use the public phone near the station." "What if that had been vandalised?"